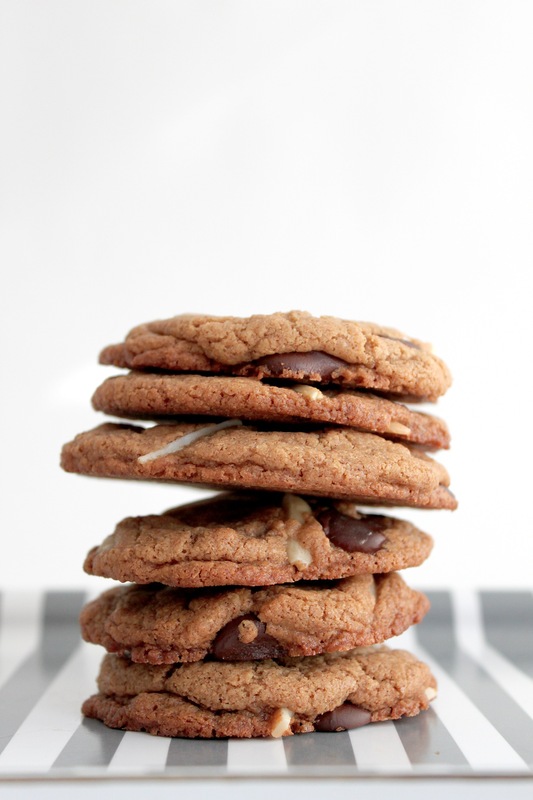 Peanut butter cookies have always been a favorite of mine, something about them will always remind me of my childhood as they’re one of the first treats I can remember making with my mom as a young girl. 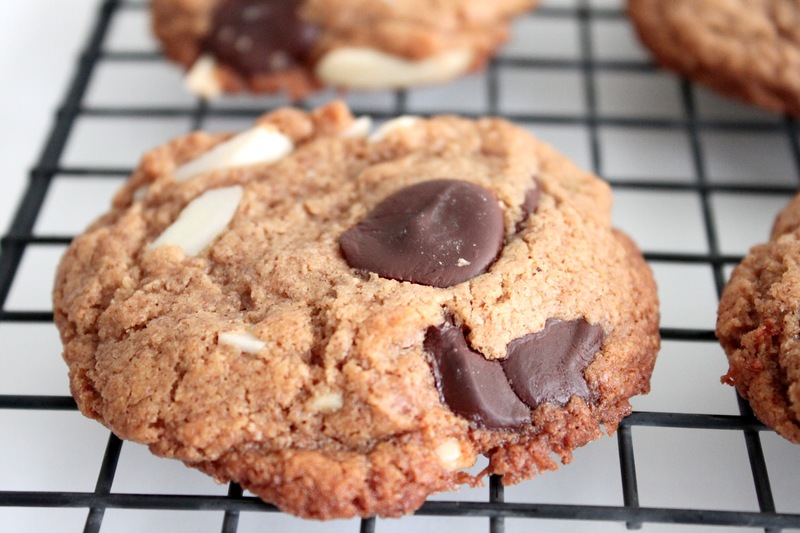 This cookie uses almond butter as its base, but has the same nutty, chewy, not too sweet characteristics of my old favorite and best of all, it’s gluten-free. Dark chocolate chips give it a decadent and sophisticated flavor that begs to be paired with tea or coffee (or my favorite, a glass of ice-cold milk). Recipe after the jump. xoxo! Beat almond butter with sugar until combined. Add egg and mix well. Beat in baking soda, maple syrup, vanilla and salt until dough is smooth. 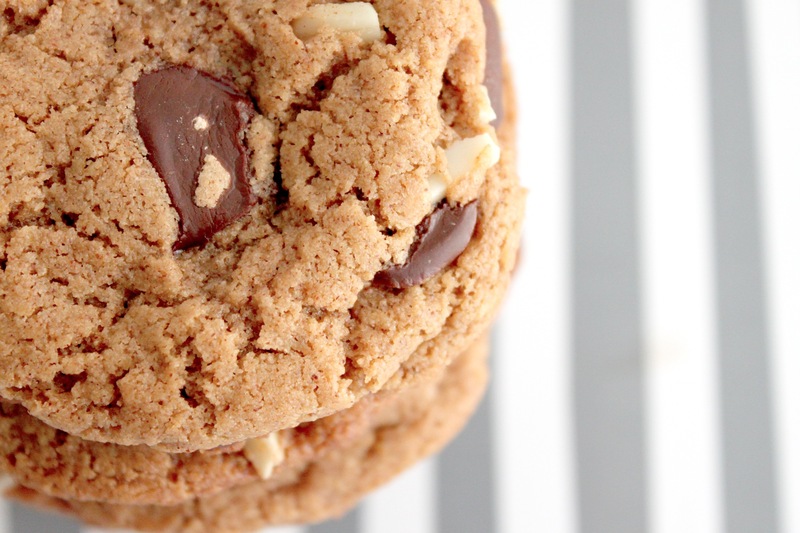 Stir in almonds and chocolate chips. Measure dough into tablespoon size balls and place evenly spaced (about 2 inches apart) on a cookie sheet. Flatten slighty. Bake for 10-13 minutes, or until cookies are lightly golden brown. Remove from oven and let rest on the pan for 5 minutes, then remove cookies from the pan and allow to cool completely on a cooling rack. ← Happy Friday + Spring Break Baby! 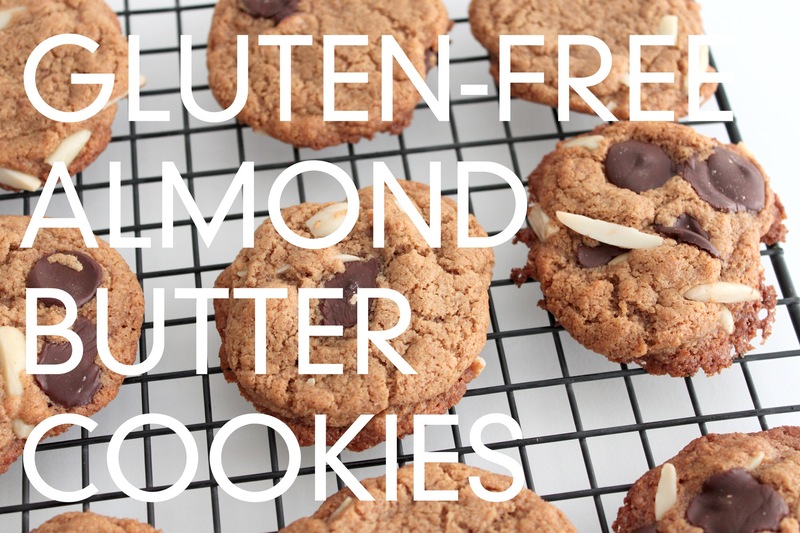 Yep, no almond flour, just almond butter! Pretty amazing, right? 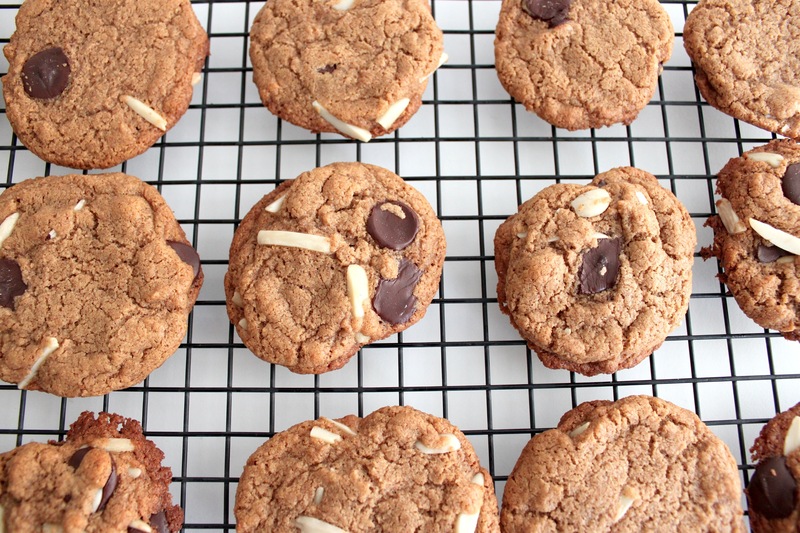 The dough handles really well, it tastes and feel like a regular cookie! Thanks so much for your lovely blog! This is a fantastic recipe. Whenever I try, I’ll definitely link back. Love almond butter so dang much. Its awesome to not have to buy flour! I think I’m going to hack these a little bit and incorporate some leftover Easter candy within their depths. Yum! I am allergic to peanuts and have been eating almond butter for a long time – I love it! I’ve never thought to create cookies with it, though. I am going to save this to my list. Thanks for sharing! I made these cookies at my friend’s house on Friday. I must say, impatience lead them to be slightly lackluster (also a lack of all the correct ingredients). We still made them into the most fattie ice-cream sundaes ever (birthday cake flavored ice cream from Target, cookies crumbled on top, with Reese’s flavored magic shell) and probably was the best dessert I’ve ever had. I still can’t believe it used an entire jar of almond butter though. Oh the humanity. Taste-wise, they’re AWESOME! I whipped up the batter in a matter of minutes and they only bake for about 10 minutes, so making them is easy peasy. And it’s the kind of recipe you can alter to your liking- omit the extra nuts, add dried fruit, etc. All in all, a great little recipe. awesome! I would switch to pecans because I am allergic to almonds (what a terrible curse) I want to try this! These are AWESOME!!! 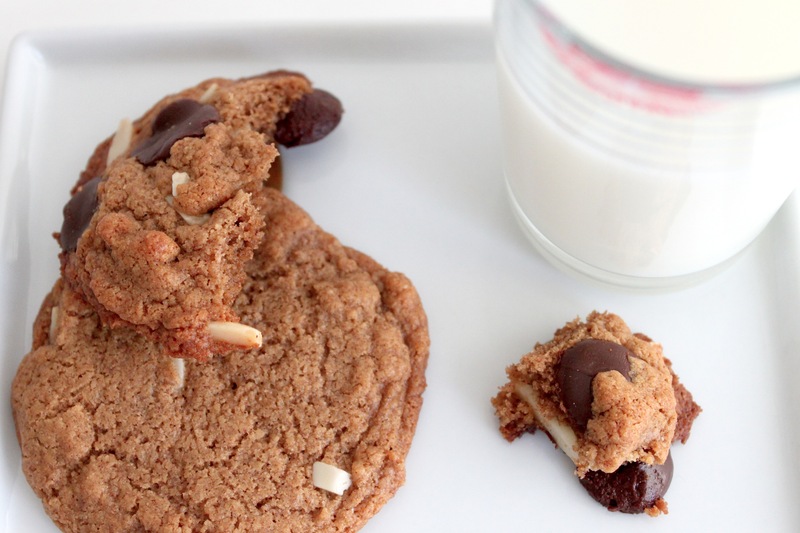 Finally a healthy cookie recipe that’s easy and delicious.